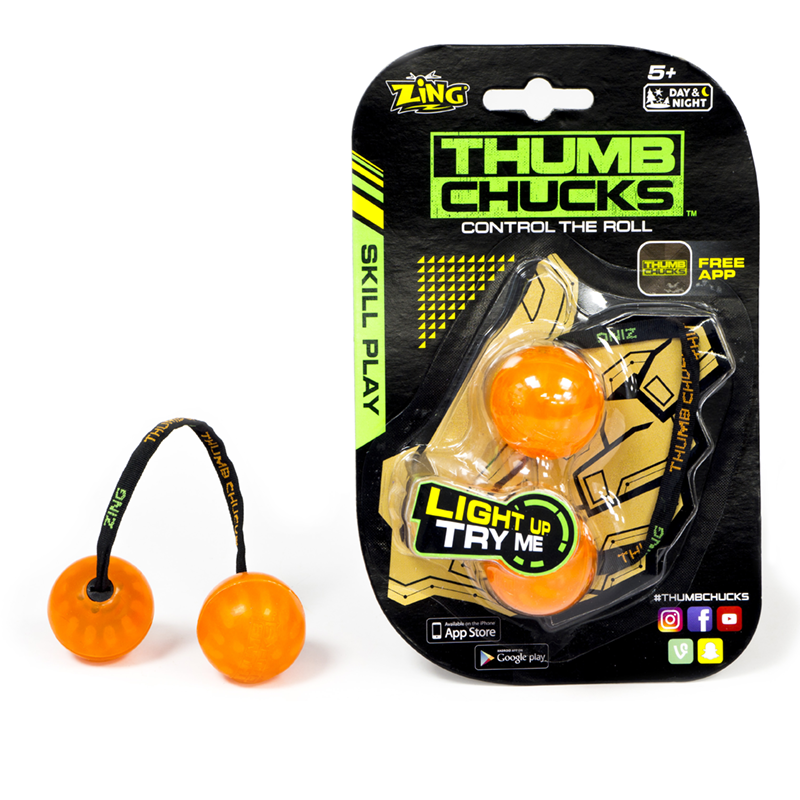 Collect, customise and control the roll - Thumb Chucks are the cool new skill toy for 2017! Each set of Thumb Chucks comprises of two rubber balls at the end of a ribbon. 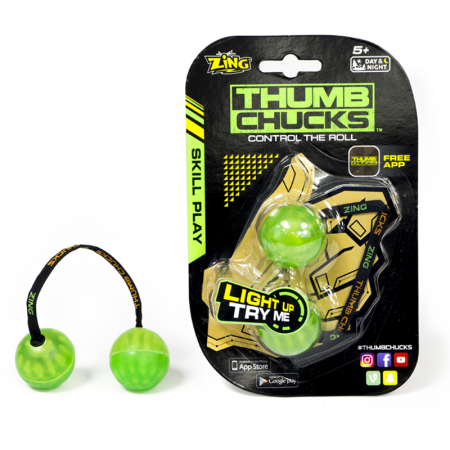 Using skill and dexterity, Thumb Chucks can be twisted, spun, flicked and twirled to perform complex moves and tricks. Follow Thumb Chucks online and on social media to see new tutorials uploaded with amazin new skills to master. 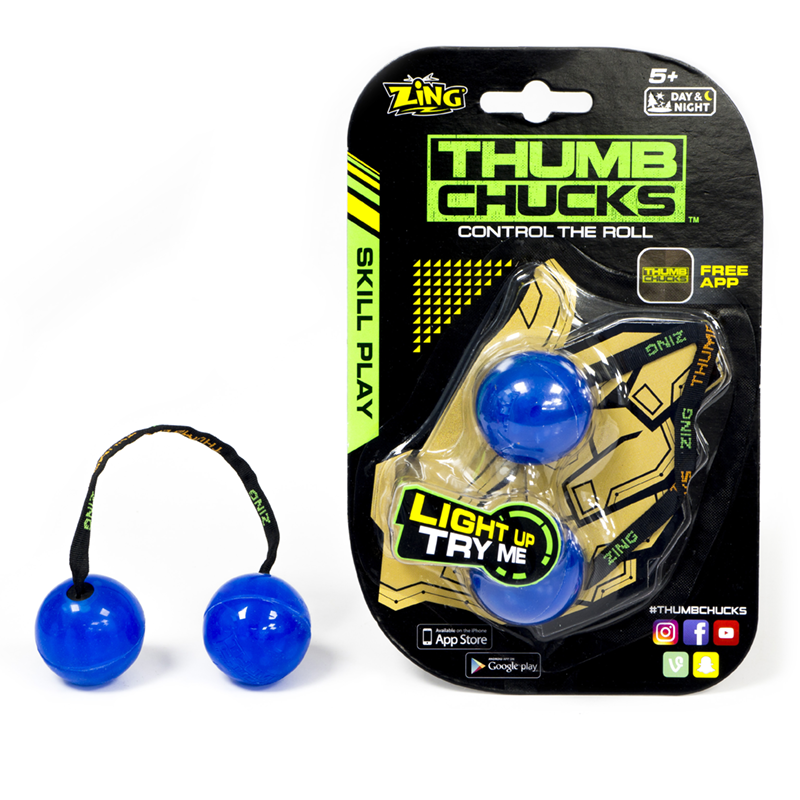 Available in red, green, blue or orange, each rubber ball reacts to movement with a motion activated LED, creating a spectacular light effect. 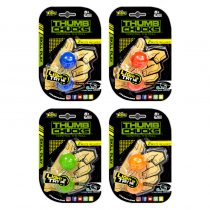 Each rubber ball can also be detached and swapped for another colour to create your own customised set of Thumb Chucks. Light-up ball reacts to movement and impact. 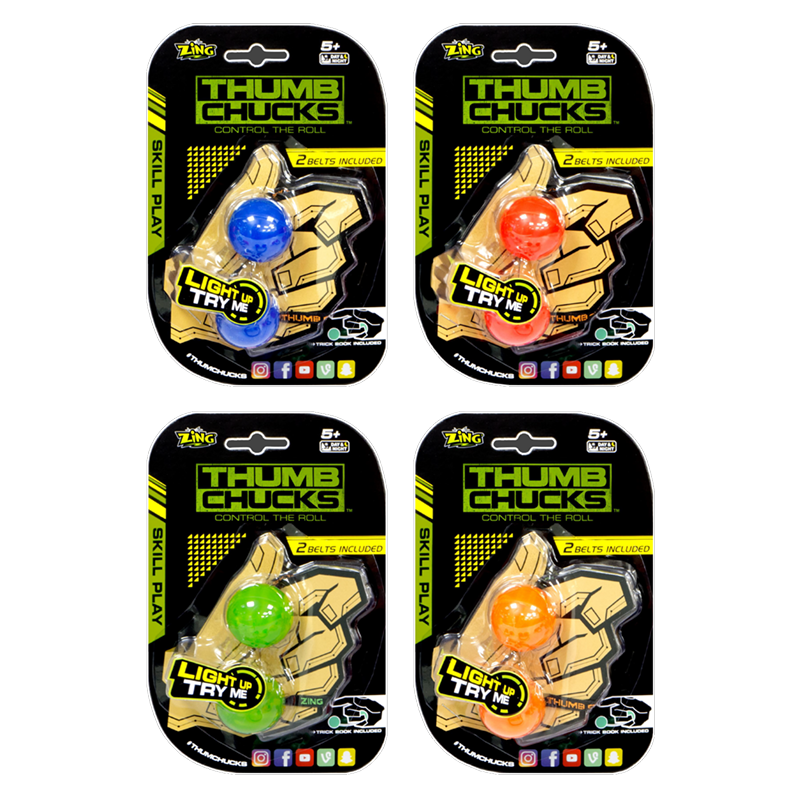 Visit the Thumb Chucks YouTube channel to watch and master dozens of new tricks and skills. Detach and swap the rubber balls to create a mix & match pair of Thumb Chucks. Warnings: WARNING! Choking hazard - Small ball. Not suitable for children under 36 months. Product style and colours may vary from packaging.